I am always on the hunt for budget friendly winter date ideas to get us out of the house! When Steve and I first started dating, before we began living together, we did all sorts of fun things. After we moved in together we still went out on weekends my kids were not with us, however, this slowly started to trickle off and we became homebodies. Several years later and another child, I can definitely say our date nights are far and few between. We really have no excuse either, my mother lives with us so we literally have a live-in, free babysitter. Still, I can’t recall the last time other than a wedding that we went out on a date. I want to change that! Of course, I know going from not having date nights to actually planning and executing them will be work, but I am confident we can at least shoot for one each month. Eager to get the ball rolling, I sat down to brainstorm some budget friendly winter date ideas. As I was making a list of possible dates we could do I thought this would make for a great blog post. I mean, there must be other couples going through a date night slump too right? So, if you are in the same boat as me, check out these great budget friendly winter date ideas. Just because we are adults doesn’t mean we don’t all have that inner child inside, screaming for a good adrenaline rush. Nothing brings couples more together than fun and laughter and sledding down some good hills can induce both! This one is definitely at the top of my list because flea markets can be hours of treasure hunting fun! You can even make a scavenger hunt game out of it. Create a list of things to find; the most expensive thing, the weirdest gadget, and so on. Group deal sites not only pack some amazing savings but they also are a great source of ideas. Sometimes I find we don’t end up doing anything because we can’t think of something new or exciting to do. WagJag is a great site to browse for frugal fun date ideas! Indoor or outdoor, ice skating is fun. There are many local rinks that have affordable free skate times that can make for a great date. If you are not that great at skating it is a great excuse to get close with your partner! Sometimes going out isn’t an option. One month money could be extra tight or a sitter is just not available. This is when dusting off those board games and inviting over a fellow couple can be fun. We like to do this once in a while and my fave game to play is Cards Against Humanity. Note: wait until the children are asleep to play! Sometimes getting out of the hustle and bustle of everyday life is just what couples need. Research the best hiking areas local to you and make a date. Bundle up nice and warm, pack a backpack of snacks and a thermos of hot chocolate, and enjoy the scenery. This is an absolute budget friendly date night idea. Many comedy clubs including Yuk Yuk’s have amateur nights. Don’t for a second think amateurs are not funny, at one time some of the funniest comedians were hitting up amateur nights. Yuk Yuk’s amateur nights are as cheap as $4.43 plus tax! I am actually really interested in checking this idea out. Many local Universities offer free (or close to it) star-gazing nights. The University of Toronto which is local to us offers free AstroTour nights. They have a speaker talk for the first part and then post-talk there is telescope viewing, planetarium shows and interactive demonstrations. Nothing is more relaxing than a spa date. However, spa’s are not generally budget friendly! Create your own at-home spa and take a relaxing bath together, take turns giving each other a massage, and maybe let him try his hand at painting your nails. You can use lotions you already have for the massage and make your own bath bombs or sugar scrubs for the bath. Source out a local coffee-house in your area that has a live music night. Cozy up with your partner and enjoy a budget friendly coffee and treat. 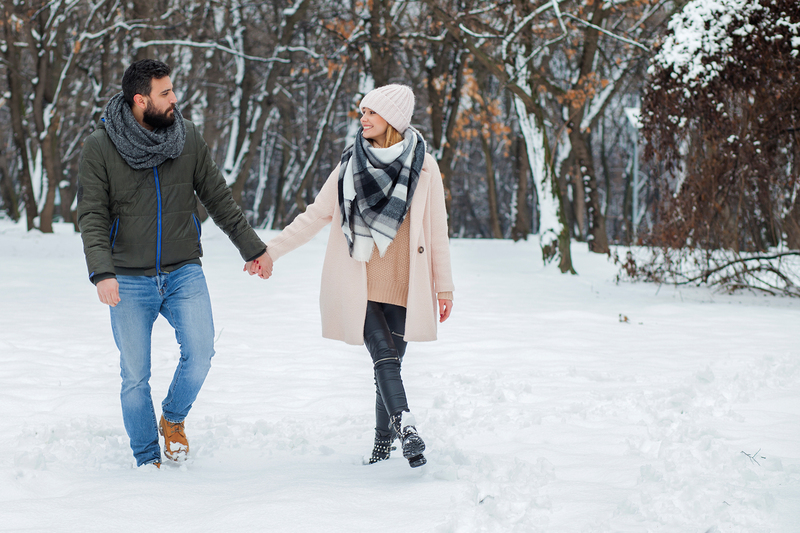 Do you have any other budget friendly winter date ideas? Let me know in the comments below! We have a place called House of Cards – it is like a coffee house/bistro with tons of board games. It is a fun way to get out for the night without spending too much money.